A wide range of skips sizes are available ranging from 2 – 40 yards including roll on roll off. If you have never hired a skip please get in touch or refer below for more information. Skips available – open and enclosed, we also offer various sizes with wheelbarrow access. What materials are not allowed in a skip? Oil, cans of paint, gas cylinders, tyres or hazardous waste. We can arrange street permits for skips being placed on a public road from the local Council. Alternatively ask about out wait and load service. Wheelie bins for cardboard, plastic and mixed waste with weekly collections available to suit. Ideal for businesses wanting to segregate their own waste onsite. Extensive scrap metal reprocessing service. (BSL Registered Supplier) Lower grades of wood can be used as fuel for biomass systems to generate green electricity and low-cost heat. Various grades of aggregates suitable for non-structural works such as reinstating yards, lanes and sites are available for collection or delivery. Screened topsoil, suitable for backfill, landscaping and turfing, for delivery or collection. Monday to Friday 7am -5pm. Now available for a variety of plastic waste from silage wrap and crop covers, to fertiliser bags and containers. Plasterboard must be kept separate from mixed waste. Separate sacks or smaller skips can be provided to simplify the segregation process. New legislation states that plasterboard and gypsum can no longer be disposed of in landfill sites and therefore must be recycled. Our green waste is transformed into compost thereby reducing the amount of waste going to landfill. We provide the secure destruction of legal documents, accounts and confidential papers. Welcome to Morrow Skip Hire Ltd, Waste Management and Recycling. 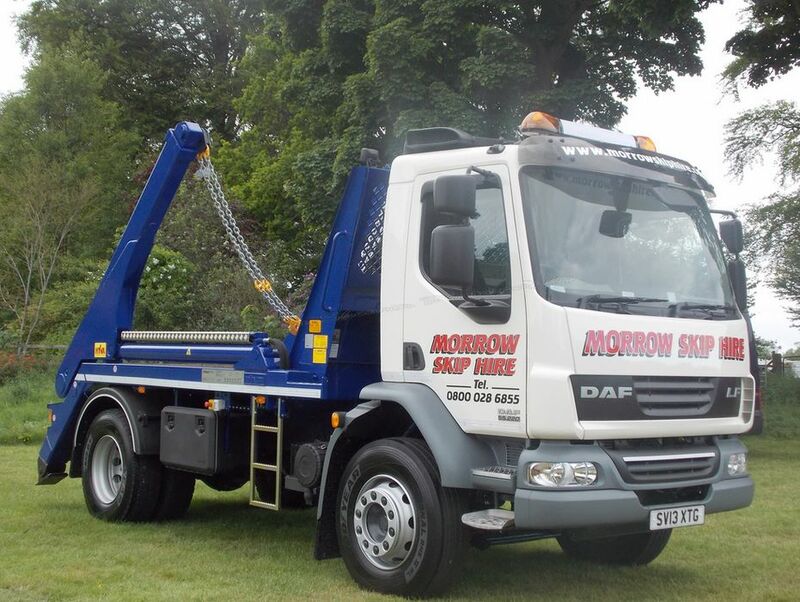 Morrow Skip Hire Ltd is a family run recycling business with over 20 years experience in Waste Management and Recycling covering Aberdeen and Aberdeenshire. We aim to provide a quality service for our customers whilst protecting our environment with the aim of creating a Zero Waste Scotland. We pride ourselves in reducing our carbon footprint by using renewable resources for recycling waste at our Waste Transfer Station. Being carbon neutral ensures that our business plays a crucial role in reducing emissions of greenhouse gases. We work extensively with businesses in the oil and gas sector, harbours, construction industry, Aberdeenshire Council, local trades, agriculture sector and domestic householders. You can ensure that your company keeps its own carbon footprint to a minimum by having your waste recycled by us at Morrow Skip Hire.